As soon as I stumbled across the Cat House on the Kings online, I knew I had to learn more about it. I was aware of animal shelters, adoption centres, and fostering, but I had no idea there were places called sanctuaries where cats can happily live out all nine of their lives. 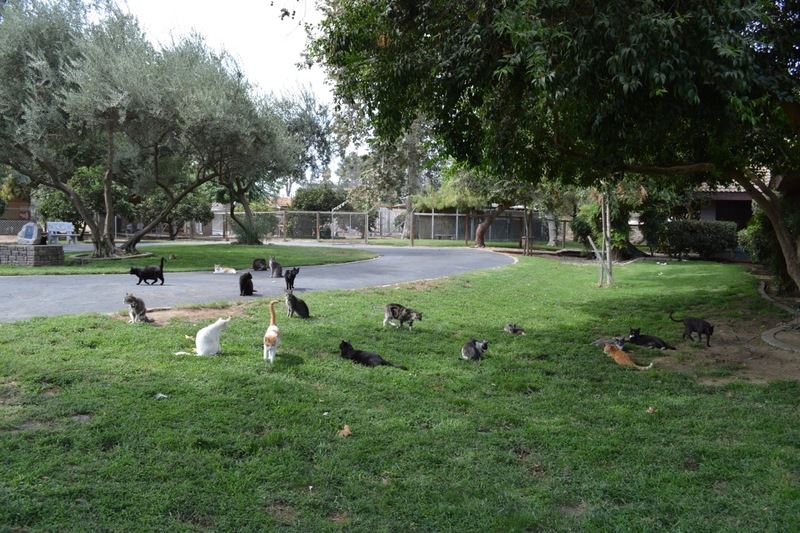 The Cat House on the Kings is a no-kill no-cage sanctuary where feral and abandoned cats can be surrendered and allowed to peacefully enjoy their lives. I was amazed to know that places like this existed, simply because of the logistics of it all. Who runs it? Who pays for the food and litter? Where do the cats all sleep? Do cats overrun this place? I had to see things for myself. My co-founder, Francois, and I landed in Fresno, California in late August and drove through vineyards and farmland to a town called Parlier. It was sweltering hot outside when we arrived at the sanctuary. I expected to be swarmed by hundreds of cats and to see them swinging from every tree, but the scenery appeared to be quite normal. We parked the car outside the gate and let ourselves in. We walked past about a half dozen happily sunbathing kitties and were greeted by a very lovely and cheery receptionist. After signing in, the oohing and ahhing immediately commenced. The first area we were brought into was where the new kitten arrivals were health-checked and quarantined. Apparently and unfortunately, it’s not an unusual sight to see a cardboard box full of kittens abandoned at their front gate in the morning. The next area presented us with the things dreams are made of: a room full of affectionate mewling kittens, all vying for your love and attention, ready to be adopted. To my dismay, we were whisked out of that room all too soon, as the sanctuary tour was about to begin. Let me give you some background information about the Cathouse on the Kings. It accidentally came to be, 22 plus years ago, and was from the heart of a woman (hero) named Lynea Lattanzio. What started with a handful of homeless kitties has become a not-for-profit organization with a family of about 700 cats and 300 kittens today (this changes with the seasons as from December until March they have far fewer kittens and all they take in they’re able to send out to other non profits throughout California and beyond). 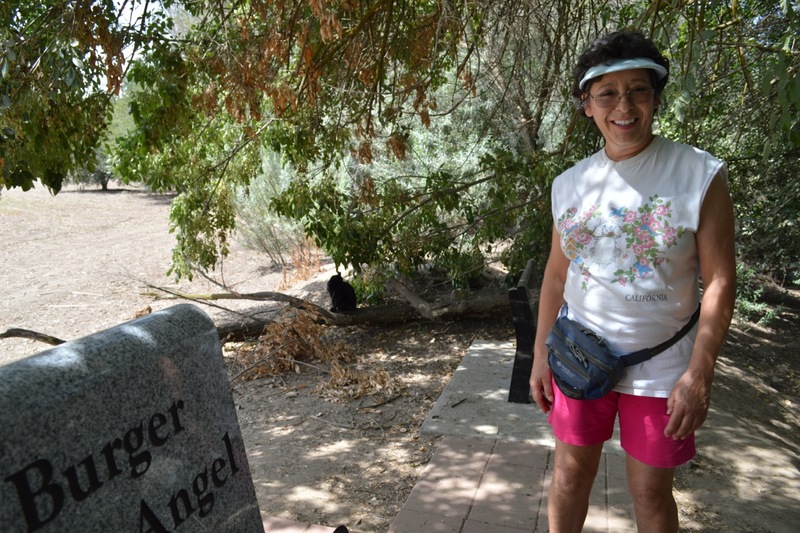 Lynea privately funded her sanctuary initially, but those funds are long gone and the facility now relies on donations and money collected from fundraising efforts. Not only is the Cat House on the Kings a sanctuary, but they also facilitate adoptions and offer low-cost spay and neuter referrals. I felt very privileged that Lynea, herself, guided us through this vast compound. She narrated while leading us through numerous buildings, shelters, and outdoor areas, each serving a specific purpose. There is a place for every category and personality of cat, ranging from basic outdoor shelters for the timid feral colonies to, what used to be her old house, which has since been democratically overtaken by feline residents. The cats have their pick of buildings from which to eat and drink from, and whichever type of bed tickles their fancy. Some of the older cats choose to keep their distance from the rambunctious young’uns, so there is a building for them – a senior’s home, if you will. The cats are free to roam the massive, fenced 12-acre riverside property, where they have free reign over open fields, grassy shade, and tree-lined banks. For a moment, I pondered how I might convince Lynea that I was cute and fuzzy enough to deserve my own piece of waterfront property. 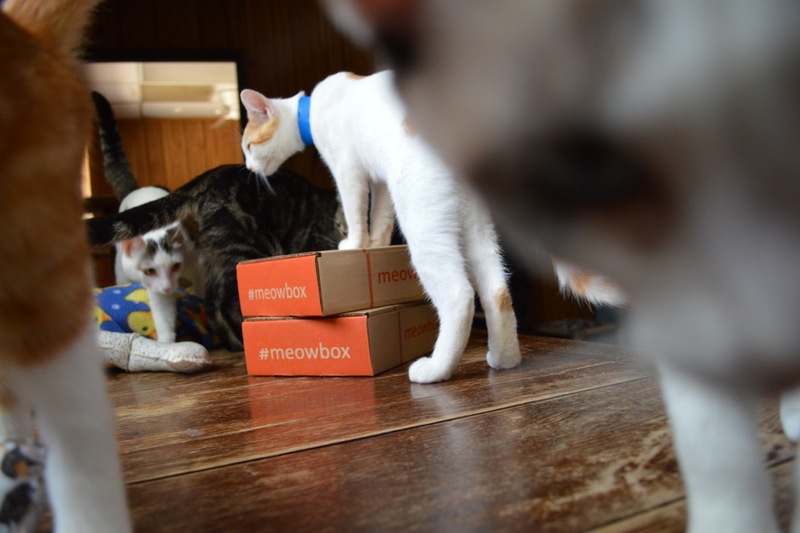 The kitties of the Cat House on the Kings may have started off their lives with misfortune, but it was apparent that in here, they would never again deal with lack of food, love, or squalor. Lynea must have sensed our sincere reverence, because she invited us for a rare visit into her own home located on the property. One might think that Lynea sleeps engulfed in a sea of tails and whiskers, but she has two animals to call her own: one cat and one dog. When you were a little girl, if someone described to you that this is where you’d be today, what would you say to him or her? To be honest, as a young child I really didn’t understand my affinity for animals. The earliest recognition was my infatuation with insects and then my desire to have a cat. My studies in school, with a very strong inclination toward biology, chemistry and math, could have led me to become a vet. I sure wish I had a school councillor that would have seen this. Wouldn’t it be nice if I had become a veterinarian? If someone had said to me way back when, that this would be my calling I am sure I would have embraced it. In those days there was no such thing as animal rescue. What’s the most heartbreaking moment you can recall here at the sanctuary? There are too many to just say which one hurt the most. Now, after 22 + years it always hurts to lose a cat. Doesn’t matter if it is a kitten or a senior. When one dies I always say, “I’ll see you again in the spring” as this is the time most kittens are born and I do believe in reincarnation. What was the most heartwarming moment? The heartwarming events occur almost daily. When we save an injured or sick cat or kitten from the streets and see that it is going to survive and thrive, it is always heartwarming. When we lose one it is equally as devastating. We just can’t save them all. Has having this sanctuary changed your view about people? Starting and living in a sanctuary has some great moments tempered by the very bad, cold-hearted, cruel individuals we must deal with daily. When we receive a phone call from an honestly genuine person who has found some kittens or a cat and are willing to go the extra steps to make sure these animals are fixed and find homes, my heart goes up. The next call might be from an individual who let their pet breed and demand that “If you don’t take them I will dump them out in the country! !” It makes me want to spay and neuter these sub-humans. We don’t need their genes to be passed on. What’s your favourite thing about your daily routine here? My favorite things about shelter life is early morning feeding and checking on the animals. I truly appreciate how well our employees take care of the day-to-day needs of the residents. Our people honestly care about the animals they are hired to care for. Do you have a favourite kitty? When I talk to people or give a tour I tell them I HAVE ONE CAT AND ONE DOG so don’t call me a hoarder. My favorite dog is Shye Ann, an 11-year-old Rottie mix. My favorite cat is an American Bobtail black and white named Daphne. Even though I have about a hundred “favorite cats,” my own animals are truly my own and are special to me. How can people help you here at Cat House on the Kings? The best way to help us would be to spread our message, join us on Facebook, and of course a financial donation is always helpful. 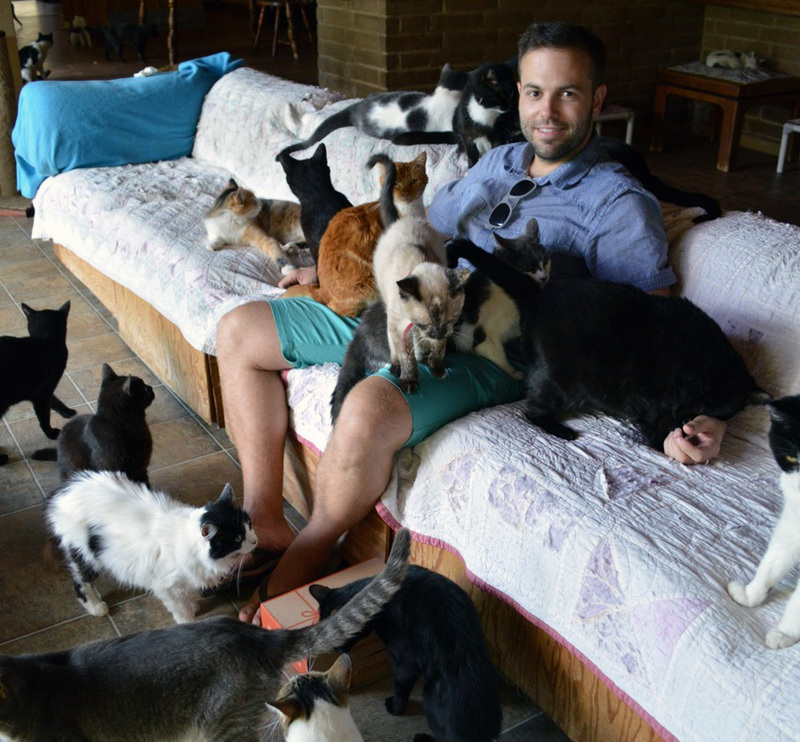 With the number of cats we care for, the financial cost to care for them is exorbitant. Food, litter, and payroll are our largest expenses. We purchase supplies by the pallet, so a bag of litter or food here and there doesn’t really help. However, the money toward that pallet does make a difference. What is some advice you could give to those around the world who want to help cats? The absolute unequivocal answer as to what can others do to support animal rescue would be to SPAY AND NEUTER. Prior to meeting Lynea, I wondered what she would be like. I wondered what kind of person opens her arms to hundreds of cats and dedicates all her time and savings to these animals? I got my answer. The day spent with Lynea showed me that she has a talent for efficiently embracing whatever comes her way. It’s clear that she has a tough skin, but is truly selfless. Lynea’s no-nonsense demeanor leaves no doubt that she means business, but the sparkle in her eye betrays that her heart is wide-open. Her years of experience have given her the knowledge and ability to solve the daily dilemmas at the Cat House on the Kings. I left the sanctuary that day with an admiration and understanding for Lynea, her team, and her mandate at the Cat House on the Kings. As individuals, whether we own 1 cat or hundreds, we must spread awareness of the importance of spay and neutering, and support our hard-working local organizations.